We think we live by forces we control, but in fact we are governed by power from unrevealed sources, power over which we have no control. The universe...is highly conscious. Every act, thought, and choice adds to a permanent mosaic; our decisions ripple through the universe of consciousness to affect the lives of all. Understand how you can raise your level of consciousness, the soul, and release the ego. A rewarding journey of self-realization where you can develop a tremendous sense of respect for who you really are....this above all: to thine own self be true. Stress Less is a great book that talks about the power of the mind and the chemistry in our brain and how it effects our mind and body. Understand the Mind-Body-Spirit connection that can heal or destroy you. Emotions can adversely affect your health. Depression, anger, guilt, condemnation, low self-esteem are lethal toxins that threaten the body and spirit. Understand the power of forgiveness, repentance, and nutrition to release from addictions of the mind and the body. "To begin healing, we must see PTSD as a disorder of identity itself and loss of ones soul." He uses methods from ancient Greek, Native American, vietnamese, and other traditions to restore the soul. Logos (Greek for "meaning"). Our primary drive in life in not pleasure, but the discovery and pursuit of what we personally find meaningful. Discovering our Souls - our True Self, despite the tendencies of the overshadowing False Self - the Ego, to live a flourishing life. "Your False Self, which we might also call your "small self", is your launching pad: your body image, your job, your education, your clothes, your money, your car, your sexual identity, your success, and so on. These are the trappings of ego that we all use to get us through an ordinary day. They are a nice enough platform to stand on, but they are largely a projection of our self-image and our attachment to it. When you are able to move beyond your False Self at the right time and the right way, it will feel precisely as if you have lost nothing. In fact, it will feel like freedom and liberation. When you are connected to the Whole, you no longer need to protect or defend the mere part. You are now connected to something inexhaustible." page 28. Four sermons that raised questions about the mystery and dying and grief after suffering the loss of his 10 year old daughter to leukemia. "The most important things that each man must learn no one can teach him. Once he accepts this disappointment, he will be able to stop depending on the therapist, the guru who turns out to the just another struggling human being." Leaving the Ego, or False Self, behind to allow the transformation of human consciousness and live fully in the moment. What are the struggles of today's youth? Here is an honest look at the heartbeat of young people, showing the hurts of today's generation, the hidden and ugly darkness that is the reality of many young peoples lives. This book brings a bright light of hope, healing, and restoration to the hearts, souls, and minds of this generation. A beautiful review of aging and dying with dignity and meaning. Every family should have a copy of this book and discuss difficult decisions while those affected can make autonomous decisions about their lives. Examination of Bipolar illness from the perspective of the healer and the healed - a deeply powerful and courageous book. Learn how to turn on your neuro-immune system to heal imbalanced energy frequencies of the body. 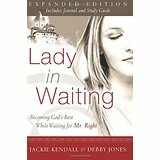 Understanding what will satisfy a woman's deepest longing.